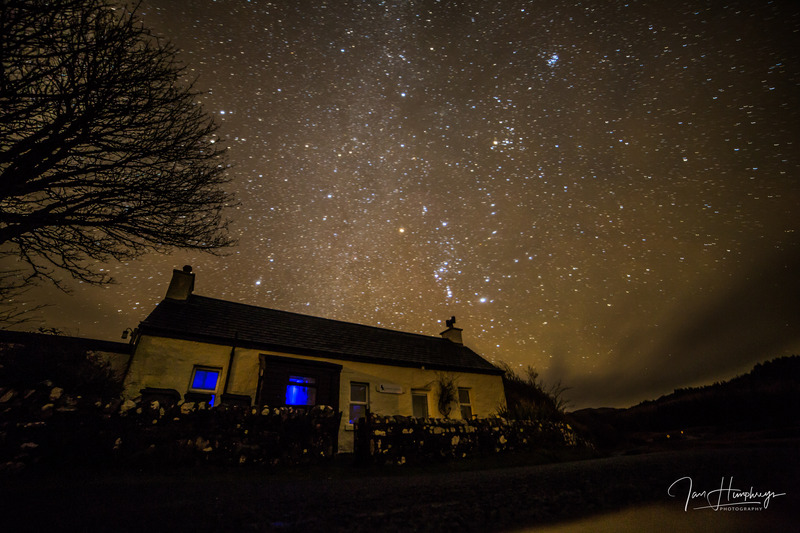 Ian Humphreys uses Clachan Cottage as his base for photographing wildlife on Mull. I was 14 when I bought myself a small film camera to capture some landscapes around me in North Wales, this led to me getting an Olympus OM10 to better develop my photos. I decided too in those early days that I wanted to specialise and decided that my love of the natural world would be the right path for me. As I progressed I decided to try and firstly see and observe nature before photographing some more elusive wildlife. So Kingfishers and otters were for me the dream subjects. I immersed myself in books such as Tarka the Otter, Ring of Bright Water and The Kingfisher by David Boag, just to gain intimate knowledge of their lives as I began to search for them. 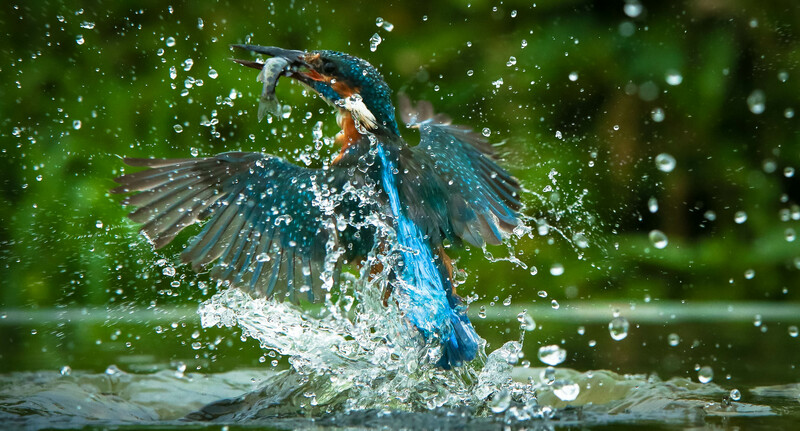 For the past 40 years I have been fortunate to watch and photograph both on my local rivers here in Wales, but also on the West Coast of Scotland and Shetland Isles. This along with studying otters both out in the field but also on a Field Studies course at Montford Bridge led by the otter expert, Geoff Liles gave me the knowledge in field craft and biology of the otter, gaining greater understanding of its conservation, ecology and environment. do you remember seeing your first otter? Travelling on a number of occasions to The Otter Trust at Bungay Suffolk, and Chestnut Centre Derbyshire to again observe and photograph captive otters; I felt I was learning as much as I could to understand them and appreciate their world. My first otter was actually on the Shetland’s after reading Hugh Miles book and watching the BBC TV Programme, On the Track of the Wild otter. Using that as a guide I managed to come across a dog otter on the edge of a fresh water lake and was lucky enough to photograph my first wild otter. It was magical after so long to finally find one, and by chance! Since then I have tried to get my otter fix as much as possible, for me they are a beautiful animal with such endearing characteristics that you cant help but be drawn in. Their constant battle with the elements to live in sometimes a hostile environment, living between the tides as they search for food . They are a keystone species for us here in UK and inspiring for me whenever seen Mull offers one of those special opportunities where you can, with patience and time get to spend time with otters surrounded by beautiful scenery and landscapes. what’s so special about mull? Travelling to Mull is one of those things that fills me with excitement. Whenever I am there I feel at home, its like the island makes you feel welcome. I have come many times to Mull, watching otters on various Lochs, from chance encounters as you drive along the shoreline, to sitting for hours taking in the views; then suddenly you see a mother otter and her cub suddenly appear in front of you playing on the Kelp. It’s for someone who loves wildlife so magical. Alongside all this the site of a swooping Sea Eagle or passing Seal fills your day with memories that last forever. Deciding to use Clachan Cottage as my base was and is an easy decision. Its easy to find and just 35 minutes from Craignure ferry, so after a long trip you can reach your destination quickly. It is situated adjacent to a beautiful loch and the village of Dervaig, where I must add, the people whom I met were welcoming and friendly, with local amenities such as the Inn, village shop and bakery. The cottage has all the home comforts you could want, modern kitchen with loads of appliances, bathroom and shower to recover and relax after a hard days walking, a lounge with two sofas, heating and TV to just chill. Upstairs comfortable beds to chase otters in your dreams! At night if not dreaming I went out on a couple of occasions to photograph the night sky. It was stunning, never have I seen so many stars, it was beautiful, plus the chance to see the Aurora and Milky Way are not to be missed. 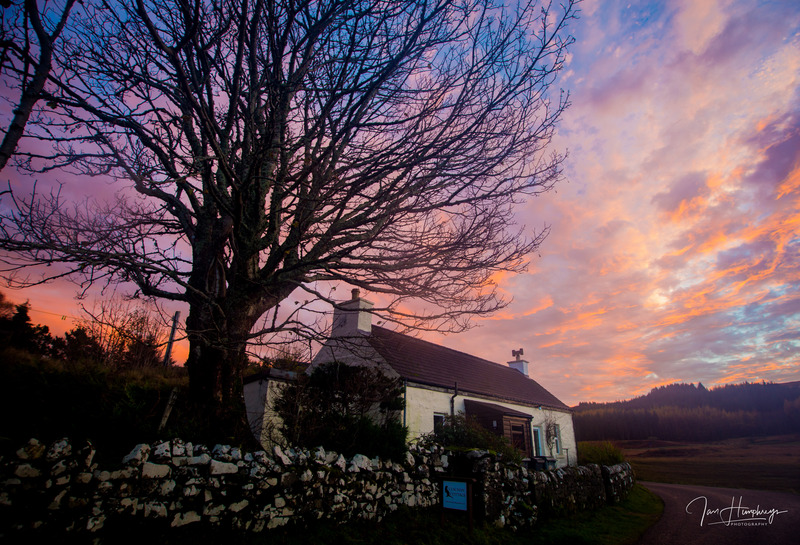 why do you choose clachan cottage? Clachan Cottage’s location offers good viewpoints across Loch Cuin, where a variety of waterbirds can be seen along with possible otter sightings. The cottage is ideally situated for me as it is just 30 minutes away from Loch Na Keal where I travelled mainly on my stay, here also, if lucky early in the morning you can see deer on the road just before the main loch comes into view. I would have no hesitation visiting and staying here again and cant recommend the cottage highly enough. With staying at Clachan Cottage I had the assistance and knowledge of S-J which led me to some memorable moments with two otter mothers and cubs. I cant thank her enough. 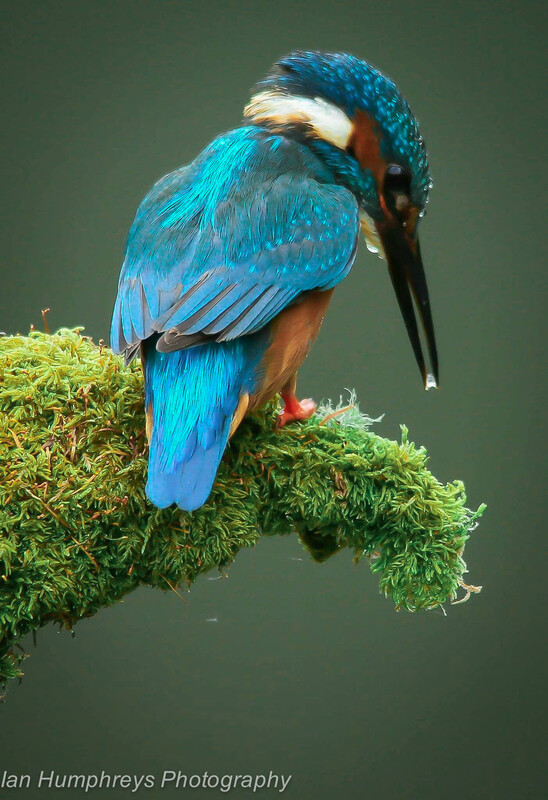 what’s your approach to photographing kingfishers? Now home I can get back to photographing my local kingfishers on the River Dee, where this year we had three separate nests through the season with successful broods. As with Otters its a case of sitting and waiting, but this time to catch a glimpse of blue or a call as the Kingfisher flies by. As birds of habit Kingfishers use the same branches and sticks to perch from when resting or diving for fish. It is after seeing these events I position myself and just sometimes my camera to remotely capture the birds activity. Kingfishers usually prefer branches 3 feet above the level of the river so I do place diving perches at suitable places to aid the birds in their search for food, plus in turn it can help me gain images of them too. Like otters, its now been 40 years in search of ” That image ” but for me at least its not just the photograph its the whole experience that counts, being at one with nature at a special moment is priceless. Ian is also a Trustee of the UK Wild Otter Trust and also their Education officer for the charity. He conducts talks for local wildlife and social groups on Kingfisher and Otter conservation and photography.